Hunterdon County is a county located in the western section of the U.S. state of New Jersey. As of the 2010 United States Census, the population was 128,349. It is part of the New York Metropolitan Area. Its county seat is Flemington. Hunterdon County was established in 1714, separating from Burlington County, the second county to be established in New Jersey. The rolling hills and rich soils which produce bountiful agricultural crops drew Native American tribes and then Europeans to the area. Around five hundred million B.C. a chain of volcanic islands shaped like an arch collided with proto North America and rode over the top of the North American plate. The rock from the islands created the highlands of Hunterdon County as there was a shallow sea where Hunterdon County is now located. Then around four hundred million B.C., a small continent that was long and thin, collided with proto North America. This collision created compression, which caused heat. The Paleozoic sediment of shale and sandstone folded and faulted. The heat allowed the igneous rock to bend, thus Hunterdon County was born. The African plate which later collided with North America created more folding and faulting, especially in the southern Appalachians. Then the African plate tore away from North America. The Wisconsin glacier that entered into New Jersey around 21,000 BC and then melted around 13,000 BC, did not reach Hunterdon County. However there are glacial outwash deposits from streams and rivers that flowed from the glacier southward depositing rock and sediment. Hunterdon County has two geophysical provinces. The first is the Highlands which is the western section of the county. The other is the Piedmont which is the eastern and southern section of the county. The Highlands account for one third of the area and the Piedmont accounts for two thirds of the county. The Highlands are part of the Reading Prong. Limestone and shale over igneous rock comprise the Highlands. The Piedmont includes the Hunterdon Plateau and the Raritan Valley Lowlands which are 150 to 300 feet (46 to 91 m) above sea level. The Piedmont is made up of shale and sandstone. Paleo Indians moved into Hunterdon County between 12,000 BC and 11,000 BC. The area was warming due to climate change. The Wisconsin Glacier in Warren and Sussex County was retreating northward. The area was that of Taiga/Boreal forests. Paleo Indians traveled in small groups in search of game and edible plants. The used spears made of bone, jasper or black chert. Their camp sites are difficult to find as they are many feet below the present surface. Native Americans moved into the area but the time they arrived is unknown. Most have come from the Mississippi River area. Many tribes of the Delaware Nation lived in Hunterdon County especially along the Delaware River and in the Flemington area. These tribes were agriculture in nature, growing corn, beans and squash. Those that lived along the South Branch of the Raritan River fished and farmed. There was a Native American trail that went along the South Branch of the Raritan River. (Philhower 1924). Between 1611 and 1614, three Dutchmen, A. Block, H. Christiaensen and C. Mey surveyed land between the 40th and 45th parallels along the Atlantic coast and named the area they surveyed New Netherland. In 1614, a Dutch fort was established on Castle Island on the Hudson River near Albany, New York. This fort was called Fort Nassau. In 1615, three Dutchmen left Fort Nassau and traveled southwest to the Delaware River and followed the river downstream. In 1616 they were captured by Native Americans near the confluence of the Schuykill River and Delaware River, south of Easton, Pennsylvania. The route the three men traveled is unknown, but they may have traveled through Sussex County, Warren County, Hunterdon County or Pennsylvania. This is the earliest record of Europeans traveling in or near this area. In the early 17th century, the Dutch settled from Manhattan Island to slightly north of Albany, New York along the Hudson River. 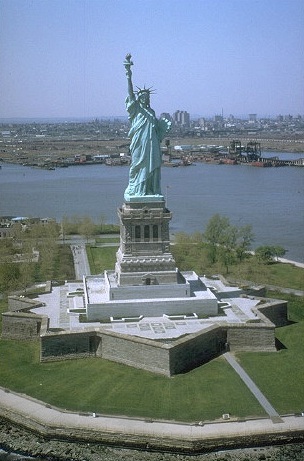 In 1625, a Dutch fort was built on the southern end of Manhattan Island and named Fort Amsterdam. Governor Kieft's War of 1643 to 1645, the Esopus War of 1655 to 1660, and the Peach War of 1655 to 1657 would have prevented colonization of New Netherland, which today is called Hunterdon County. There were also hostile relations between the Dutch and Native Americans. The Dutch had problems with the Native Americans which lead to three wars in the mid 17th century. Due to these problems the interior of New Jersey was not settled. After the British took control of New Netherland in August 1664, the relations with the English and Native Americans became better for a while. Through land purchases which the Native Americans did not fully understand, from disease contacted from the Europeans, and from the Little Ice Age, Native American populations fell drastically. The Little Ice Age which occurred in the beginning of the 17th century caused crop failures with the corn, beans, and squash that the Native Americans planted. Also river stayed frozen longer which prevented fishing. Native trees such as oaks, walnuts, hickory, chestnuts, beech that produced nuts failed to produce crops for Native Americans. Due to this, Native Americans starved. Land purchases from Native Americans occurred from 1688 to 1758. Large land purchases from Native Americans occurred in 1703, 1709 and 1710. Over 150,000 acres (610 km2) were bought with metal knives and pots, clothing, blankets, barrels of rum or hard cider, guns, powder and shot. This allowed for European settlers to enter into Hunterdon County in the early 18th century. After 1760 nearly all Native Americans left New Jersey and relocated to eastern Canada or the Mississippi River area. The first European settlers were Col. John Reading who settled in Reading Township in 1704 and John Holcombe who settled in Lambertville in 1705. The French and Indian War occurred in the mid 18 century. This did not effect Hunterdon County but effected Warren and Sussex County as well as the Port Jervis area. Frontier forts and fortified homes allowed settlers to hold their ground but many died in the war. Hunterdon County was separated from Burlington County on March 22, 1714. At that time Hunterdon County was large, going from Assunpink Creek near Trenton to the New York State line which at that time was about ten miles (16 km) north of Port Jervis, New York. Hunterdon County was named for Robert Hunter, a colonial governor of New Jersey, through a corruption of Hunterston, his former home in England. On March 15, 1739 Morris County was separated from Hunterdon County. Transitioning from rural to suburban, Hunterdon County is an exurb on the western edge of New Jersey and home to commuters to New York City and Philadelphia. The county seat, Flemington, is noted for the Lindbergh kidnapping trial which convicted Bruno Hauptmann of the murder of aviator Charles Lindbergh's son. With growing towns and shopping areas, as well as relaxing rural areas, Hunterdon County is a far stretch from the urban areas stereotypically associated with New Jersey. According to the U.S. Census Bureau, the county has a total area of 438 square miles (1,134.4 km2), of which 430 square miles (1,113.7 km2) is land and 8 square miles (20.7 km2) (1.79%) is water. Much of the county is hilly, with several hills rising to one thousand foot in elevation. The highest points are two areas in Lebanon Township, one on the Morris County line, both reaching at least 1,060 feet (323 m) above sea level. The first is at Smith on the Morris county line and the second is north of the area called Little Brook. The lowest elevation is where the Mercer County line reaches the Delaware River, approximately 50 feet (15 m) above sea level. This area is known as the Highlands of New Jersey. The county is drained by the Musconetcong River in the north. The river flows in a southwest direction. The Lamington River drains the county in the east. The central portion of the county is drained by the South Branch of the Raritan River. The Delaware River drains the western side of the county. Hunterdon County is considered the premier place to hunt white tailed deer in New Jersey. More deer are harvested each year than any other county according to New Jersey Fish and Game records. The premier fishing streams are the Musconetcong in the north and the Lamington River. The NJ Fish and Game stocks thousands of rainbow, brown, and brook trout in these streams as well as other streams such as the South Branch of the Raritan River. There is also Round Valley Reservoir and Spruce Run Reservoir for trout fishing as well as bass. Round Valley Reservoir which is man made has lake trout in it. New Jersey Fish and Game has also many Wildlife Management Areas for hunting ducks, deer, pheasants, quail, rabbits, squirrels and bears. Hunterdon County ranks as the 7th among the highest-income counties in the United States with a per capita income of $36,370. It ranks fourth among U.S. counties for household income according to the most recent U.S. Census. Hunterdon County's median household income was $93,342, behind only Fairfax County and Loudoun County, Virginia and Howard County, Maryland. As of 2005, Hunterdon had the third-highest median property tax of any county in the nation at $6,988, the highest in New Jersey. As of the Tax Foundation's rankings based on 2006 data, Hunterdon had taken the top spot for highest median property tax at $7,999. Hunterdon County's median income for a household was $79,888, which makes it the fourth highest county in the country based on median household income. Median income for a family was $91,050 (these figures had risen to $97,793 and $113,280 respectively as of a 2007 estimate). Males had a median income of $61,888 versus $40,852 for females. The per capita income for the county was $36,370, which ranks as the thirteenth highest county in the country based on per capita income. About 1.60% of families and 2.60% of the population were below the poverty line, including 2.10% of those under age 18 and 4.20% of those age 65 or over. As of October 2007, Hunterdon County now has the highest median property taxes in the United States. Many important roads pass through the county. They include state routes, such as Route 12, Route 29, Route 31, Route 165, Route 173 and Route 179. Two U.S. Routes that pass through are U.S. Route 22 and U.S. Route 202. The only limited access road that passes through is Interstate 78. As of 2010, Hunterdon County's Freeholders are Freeholder Director William Mennen (Tewksbury Township), Freeholder Deputy Director Matt Holt (Clinton Town), George B. Melick (Tewksbury Township), Ronald Sworen (Frenchtown), and Robert Walton (Hampton). Hunterdon County is solidly Republican and elects some of the most conservative members of the New Jersey legislature. It has also provided big votes for independent conservative Third Party candidates opposing liberal Republicans, particularly in 1997, when 13% of county voters backed two conservative independent candidates against incumbent Governor Christine Todd Whitman. Hunterdon also supported Steve Lonegan for Governor over Chris Christie, his less conservative opponent in the 2009 Republican Primary, by a 4.0% margin. In the 2004 U.S. Presidential election, George W. Bush carried the county by a 20.8% margin over John Kerry, with Kerry carrying the state by 6.7% over Bush. Hunterdon County is represented exclusively by Republican Freeholders and the majority of township committee and borough council seats are held by Republicans. In the 2008 U.S. Presidential election, John McCain defeated Barack Obama by a 13.3% margin, but Obama defeated McCain in New Jersey by a 15.5% margin. In the 2009 Gubernatorial Election, Republican Chris Christie received 65% of the vote, defeating Democrat Jon Corzine, who received around 25%. The following municipalities are located in Hunterdon County. The municipality type is listed in parentheses after the name, except where the type is included as part of the name. Census-designated places and other unincorporated communities are listed separately. The township form is the oldest form of municipal government in New Jersey. Designed to parallel the New England Township meeting, the Township Act of 1899 abolished the township meeting and replaced it with a township committee with all municipal powers. This act, with a handful of amendments, served until it was repealed by the Township Act of 1989, which cleared up many of ambiguities of the previous law. Under the current township government laws, the township committee remains the backbone of the municipality’s government. Voters elect, at-large, the township committee comprising three or five members. The elections are partisan, and the committee members serve staggered three-year terms. The township committee elects the mayor for a one-year term. The mayor serves as chair of the township committee and has powers vested in the mayor’s office by general law. Under the township form, all legislative powers are concentrated in the committee. The committee also has all executive powers not placed in the mayor either by general law or the revised Township act. Additionally, all municipalities under the traditional form, including the township form, may appoint a municipal administration and “delegate to him all or a portion of the executive responsibilities of the municipality”. As of 2006, 144 New Jersey municipalities operate under the Township form. The Town Form of New Jersey municipal government dates back to the Town Act of 1895, which was amended and revised by the Town Act of 1988. Voters elect the mayor and council in partisan elections. The mayor is elected at large and is known as the councilman at large. The mayor serves a two-year term, though voters can through petition and referendum change the term to three years. The mayor retains all executive responsibilities placed in the position by general law or the Town Act. All other executive authority lies with the town council. The council consists of eight members serving two-year terms. Two council members are elected from each of four wards and they serve staggered two-year terms. Therefore, every year one seat from each ward is up for election. The mayor chairs the town council, and may vote on legislation and veto ordinances. The council can appoint, through ordinance, any subordinate officer with the exceptions of the municipal clerk, tax assessor and tax collector, which are appointed by mayor and council. Like the other traditional forms, the town council may appoint an administrator pursuant to NJSA 40A:9-136. As of 2006, Nine New Jersey municipalities operate under the Town form. The city form of New Jersey municipal government dates back to a series of laws passed by the state legislature between 1897 and 1899. The City Form was last revised by PL 1987, Chapter 314. Under this form, mayor and council are elected in partisan elections. The mayor serves a four-year term, unless a two or three-year term preceded the passage of the 1997 law. The mayor is the chief executive, may participate in council meetings and can vote to break ties. The mayor can veto ordinances and serves as the head of the police department. The council is the legislative body of the municipality and appoints most of the subordinate officers of the city. Generally, the city council consists of seven members with six elected from wards for three-year terms and one elected at-large for a four-year term. Like the other traditional forms, a city may delegate all or a portion of the executive authorities to an administrator. As of 2006, 15 New Jersey municipalities operate under the form. The Borough form remains the single most popular form of local government in New Jersey. This form dates back to the Borough Act of 1878 and was revised in 1897 and by the Borough Act of 1987. The Borough mayor is elected at-large to a four-year term. Six council members are elected at-large to staggered three-year terms. The Borough form is often referred to as a “weak mayor-strong council” form. The mayor retains all general law authority, presides over council meetings and can vote in the case of a tie. The mayor appoints, with the advice and consent of council, all subordinate officers of the municipality. The council is the legislative body of the Borough. All executive responsibilities not placed in the office of the Mayor by general law or the Borough law remain with the council. Like the other traditional forms, a Borough may appoint an administrator and delegate all or a portion of the executive responsibilities to him/her. The council may also adopt an administrative code, prescribing how the council shall perform it duties. As of 2006, 218 New Jersey municipalities operate under this form. There are currently nine unincorporated places within Hunterdon County, though each is within an incorporated municipality. John Whitfield Bunn (1831–1920), Illinois capitalist, industrialist, and close friend and associate of Abraham Lincoln. Jacob Bunn, Illinois capitalist, industrialist, and close friend and associate of Abraham Lincoln. Jack Cust (born 1979), MLB Player for the Oakland Athletics. Wanda Gág (1893–1946), writer, author of books for children most famous for Millions of Cats. Troy Glaus (born 1976), MLB Player for the Atlanta Braves. Leonard Lance (born 1952), member of Congress for 7th District of New Jersey. James W. Marshall (1810–1885), discoverer of gold at Sutter's Mill in California in 1848. Raritan Valley Community College is the two year community college for both Hunterdon & Somerset County, one of a network of 19 county colleges state-wide. The school's main campus is located in North Branch, NJ founded in 1965. Rutgers, the State University of New Jersey, has a partnership with Raritan Valley Community College which offers Bachelor degree completion programs at the North Branch campus. For more information regarding ths program please visit http://rutgersatrvcc.org/. ^ Property Taxes on Owner Occupied Housing by County, 2005, Tax Foundation. Retrieved October 4, 2006. ^ Woolsey, Matt. "America's Priciest Property Taxes", Forbes, October 3, 2007. Accessed January 11, 2008. "The hardest hit? Homeowners in western New Jersey's Hunterdon County. Last year, the median yearly property tax bill amounted to a whopping $7,999 here, according to the Tax Foundation, a nonpartisan research group in Washington, D.C, which compiled data based on 2006 figures." 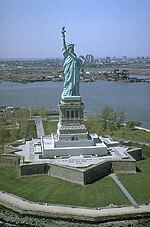 ^ New York, New Jersey Homeowners Nation's Hardest Hit by Property Taxes, Tax Foundation press release dated September 12, 2007. Retrieved January 11, 2008. ^ "The Counties and Most Populous Cities and Townships in 2010 in New Jersey: 2000 and 2010". United States Census Bureau. 2011-02-03. http://2010.census.gov/news/xls/st34-final_newjersey.xls. Retrieved 2011-02-05. ^ "Hunterdon County, New Jersey – Fact Sheet – American FactFinder". Factfinder.census.gov. http://factfinder.census.gov/servlet/ACSSAFFFacts?_event=Search&geo_id=05000US34027&_geoContext=01000US%7C04000US34%7C05000US34027&_street=&_county=hunterdon&_cityTown=hunterdon&_state=04000US34&_zip=&_lang=en&_sse=on&ActiveGeoDiv=geoSelect&_useEV=&pctxt=fph&pgsl=050&_submenuId=factsheet_1&ds_name=ACS_2007_3YR_SAFF&_ci_nbr=null&qr_name=null&reg=null%3Anull&_keyword=&_industry=. Retrieved 2010-07-22. ^ "Hunterdon County Board of Chosen Freeholders". http://www.co.hunterdon.nj.us/frholder/frehldrs.htm. Retrieved 2010-01-11. ^ New Jersey Presidential Election Returns by County 2004, Eagleton Institute of Politics at Rutgers University. Retrieved August 31, 2008. ^ The number of council members can vary. For instance, the City of Linden currently has eleven council members, a provision which preceded the 1987 revisions. ^ The Boroughs of Roselle and Roselle Park elect council members from wards. This page uses content from the English language Wikipedia. The original content was at Hunterdon County, New Jersey. The list of authors can be seen in the page history. As with this Familypedia wiki, the content of Wikipedia is available under the Creative Commons License.